2017 is on it’s way out the door. The holiday season is in full effect. The general public is planning for holidays, Christmas, New Year celebrations and how to enjoy their vacations more and more with the family. But, entrepreneurs have different plans in their minds. They are planning for their business growth and expanding across their market. They are compiling the current year’s financial statements and other business operations data to help their company enter the New Year with a new plan, of course, hoping to be better than the last. Before starting a new business plan, go for the business plan that was made in the beginning. 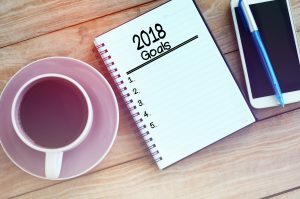 Check its goals and how many of those goals achieved. If any goal was missing, what was done to compensate that missing piece? What cost did it take on your business if that goal was not achieved? What were the reasons behind that? Just like that, evaluate all previous years’ business plans one by one. Sort out the deficiencies, the steps you have taken and impacts of those steps taken. Then come to this year’s current plan. Is the business going as planned? Is the business running successfully in terms of goals achieved? What sort of business operations are carried out? Their results must be included in next year’s business plan. 1. First of all, check the position and standing of your company. What is the current financial status of your company? How many liabilities are in your company? Is the income that you are bringing in exceeding that of the expenses? Is your business bookkeeping being monitored properly? 2. Have a look at your environment. What is the market trend and where is it going? Is there a period of upsurge or is there a period of decline in businesses around you? 3. Take a look at how your competitors are doing. Is their market share of products or services they offer increasing? What steps have they taken in raising their market share? Did they introduce new products into the market? Or, has the packaging of their products been refreshed? Are there any promotional offers or another kind of marketing techniques they have adopted? 4. Scan through your business bookkeeping. Have unnecessary transactions been made? Are you caught up in terms of a balanced book? What areas can you improve on in this important aspect of your company? 5. Is your business audit ready? An audit-ready business is ready to capture market share. Having an audit-ready business means everything is clear in business finances and accounting. No liabilities are postponed. An audit-ready business means that all accounting statements are up to date and, in turn, being up to date in business ensures rapid success. It makes it far easier to make decisions regarding business operations and, financing, and other tasks. 6. Plan out new targets and goals for your business. Also, make a plan to achieve those targets and goals in the coming year. 7. Business planning includes the steps taken in business to promote its growth and remove the debts and liabilities, if any exist. If all of the debts or liabilities cannot be removed all at once, make a plan to eradicate them as soon as possible. 8. Make a road map to reaching your goals of the business plan. Which path will be followed to grow the business? If business financing is needed, how will it be managed? What about debts, equity financing, attracting foreign investors and personal funding in business? 9. Always keep in consideration that situations may change and the environment is not always feasible. How will you survive your business as an entrepreneur? 10. Make a rigorous plan for reaching other markets other than the market you currently operate in. You are already selling your products and services, so why not reach more people? 11. Plan methods to attract more customers for your business growth. Use your creativity to attract a larger client base. 12. Always keep a budget and resources on hand in case the business plan does not work as expected. Hope for the best and plan for the worst. Business planning is essential for entrepreneurs. As the year ends, they must seek out the results of previous year business plans. Entrepreneurs must research the reasons behind why the previous plan was not up to the mark or why it happened to thrive. If the previous year plan was successful, then how can the next year’s business plan be made to achieve targets again?